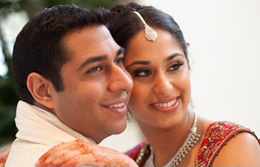 Deepka and Suraj - Sonal J. Shah Event Consultants, LLC. Thank you so much! SJS Events was a pleasure to work with. Your team truly made my dreams come true. I really couldn’t have asked for anything more. The staff was phenomenal to work with. A special thanks to Sonal, Shital, Judy and especially Jessica who had to deal with me during the days of my events and my bridezilla self. Everyone was accomodating, got everything done very quickly, and helped in every way possible. Although there may have been hiccups (though I may not have been aware of many of them! ), I know they got taken care of quickly and smoothly, and without my knowledge. I know I have a very difficult family to work with and a lot of them to deal with too and Sonal and her team couldn’t have handled it any better. Thank you! I will never forget my special weekend!